As I may have mentioned a time or two, I’m in the process of moving to a new city, and while I’ve certainly had moments of complete overwhelm when thinking about packing my life up into a truckload of boxes, there’s another part of me that’s positively embracing this opportunity. Packing forces me to go through everything, and I think Jared and I have probably made at least 15 trips to Goodwill in the last few months (and that doesn’t even count all the items we’ve given away to friends). And, for me, it scratches my slightly over-the-top organizational itch that I’m otherwise generally able to keep in check. So, yes, of course, I’m organizing boxes as I pack them (except when Jared manages to tuck a random dog leash or bath towel into a box of electronics EVEN THOUGH IT CLEARLY DOESN’T GO THERE, ahem), but I’m doing a little extra life organization, too. 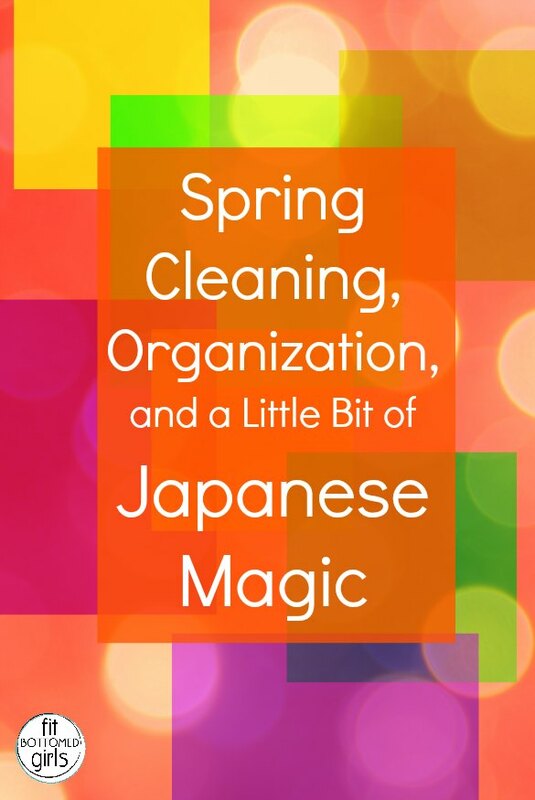 Part of that has come from beginning to read a book that, I swear, everyone I know on social read a few months ago: The Life-Changing Magic of Tidying Up: The Japanese Art of Decluttering and Organizing by Marie Kondo. I’m only part way through, but already, that life-changing part? Yep, totally taking effect. The premise is that tidying a little each day is pretty much pointless (PREACH! ), and even dumping out a whole drawer and reorganizing it might not be helpful if you have similar items stashed in multiple places around your house. To truly tidy — and if you do it right, you should only have to do it once — you’ve got to go through everything and remove the items that aren’t useful and don’t bring you joy. Having those guidelines is so helpful when it comes to ruthlessly purging items from every closet in your home! And, while purging one of those closets, I came across some of my old report cards, and I noticed something interesting that multiple teachers noted: Kristen is slow to pack up her things for recess or end of day. This has always been an issue for me — high school gym, where I had maybe 7 or 8 minutes to change, get ready for class, and put everything back in my bag? Basically my own personal hell. Try as I might, I just couldn’t seem to quickly put things away in an organized fashion. But maybe I just didn’t have the right bag. Because, think about it — if your bag has a place for everything, it should be super easy to find things and put them away in no time, right? 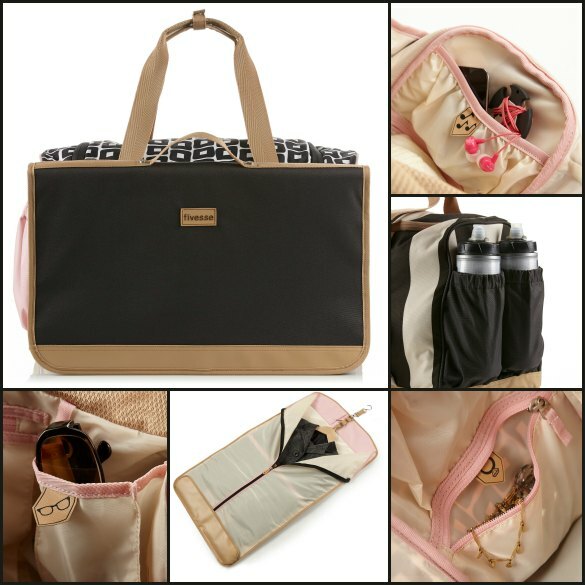 The bag featured individually labeled pockets — there’s a spot for shoes, another for jewelry, one for phone, a couple for water bottles, a separate area for sweaty gym clothes, even an earbud wrap to keep your cords from getting tangled and a slot for class schedules or printed workouts (and more!). But, for having all those options, it’s not a huge bag. In fact, it’s small enough that you wouldn’t look a bit out of place carrying it into the office. Plus — here’s where things get super cool for you early morning workout folks who head straight to work afterward — there’s a separate garment bag ($64, on sale now for $45) that actually attaches to the back of the Home-Gym-Work bag, so you can carry and store your nice work clothes without getting them wrinkled or stinky from your gym bag. The only thing I might change is the color (brown and light pink aren’t my favorites), but there are a few patterns to choose from, and overall it’s nice and neutral. And even if it weren’t, it would still easily hold and organize all my stuff, so it’s hard not to just love it. I love spring cleaning. It’s great preparation for summer relaxation!